Help support Mike: Bookseller here on Patreon! Extra cool stuff for patrons! You could even be in the comic like Christiana here! My brother still loves Hawaiian shirts. I got him a couple as gifts not too long ago. The deeper the color, the more vibrant, the better for Jason. 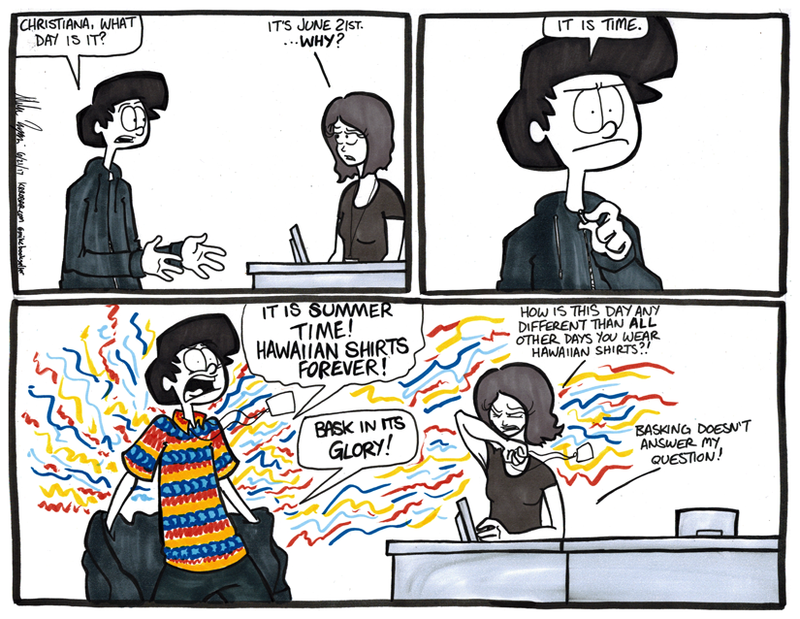 He prides himself with possessing the loudest shirts in existence. It’s hard to miss him in a crowd. I try my best to continue his legacy while working for The Bookstore. That’s the best part about these articles of clothing, they fit the company standards of a collared button up shirt. It’s the best!